The West of England Goose is a medium sized bird. The mature ganders are usually white in color, but they may have the odd grey feather. 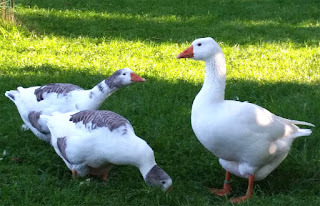 And the geese have saddleback grey and white pattern, with grey on the head and neck.